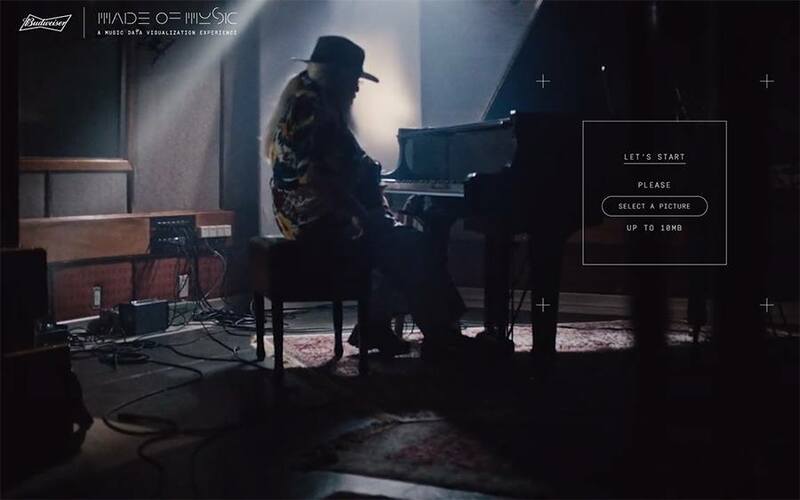 In celebration to Hermeto Pascoal ‘s 30 years of musical career, Budweiser created the project Made of Music, in which Webcore was responsible for developing the website together with Africa Agency. The idea of the project is to enable users to explore through graphic and visual elements some songs by the famous Brazilian composer. 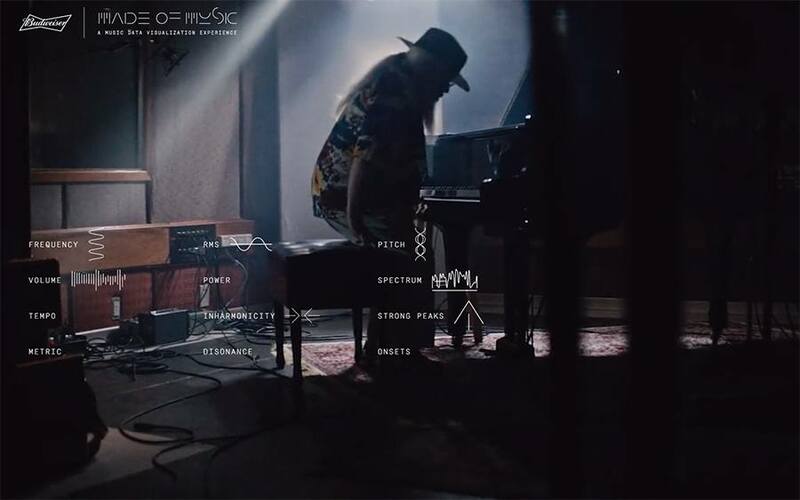 This all became possible due to a tool developed by Dimitre Lima that transcribes sounds into data and code language, allowing it to be applied as visual elements in images as the song is played. 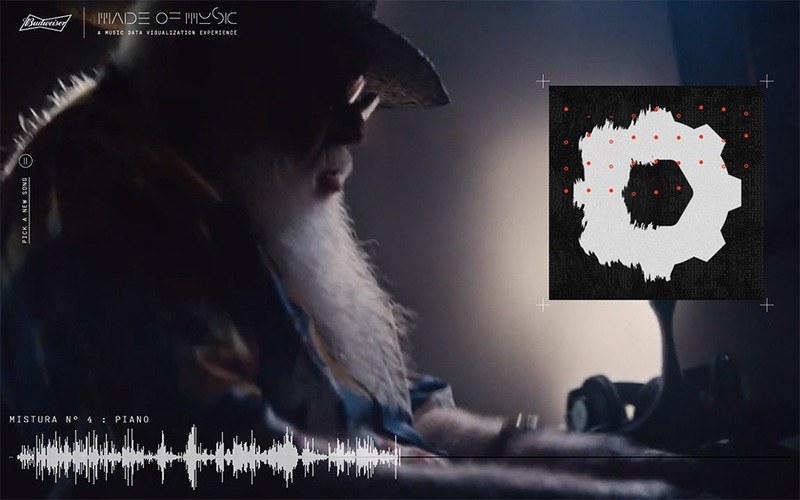 The user can upload a picture, select a song, and watch the image be transformed by the music of Hermeto Pascoal. 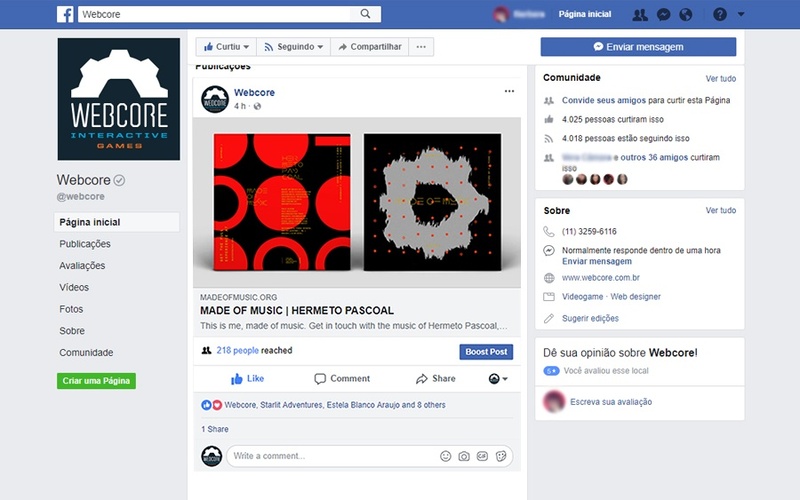 After the new image is generated, the user has the option to interact with its elements, download it, share it on Facebook as a simulation of an album cover, or also pick another song to watch the magic happen in different ways.